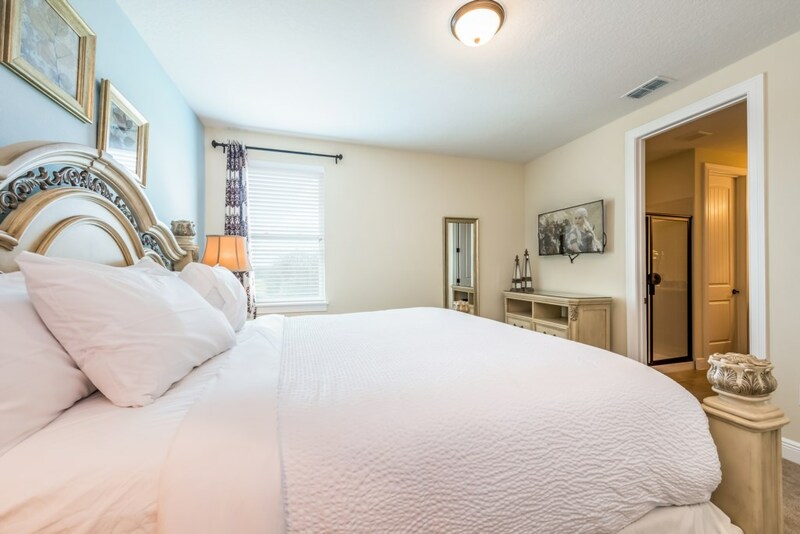 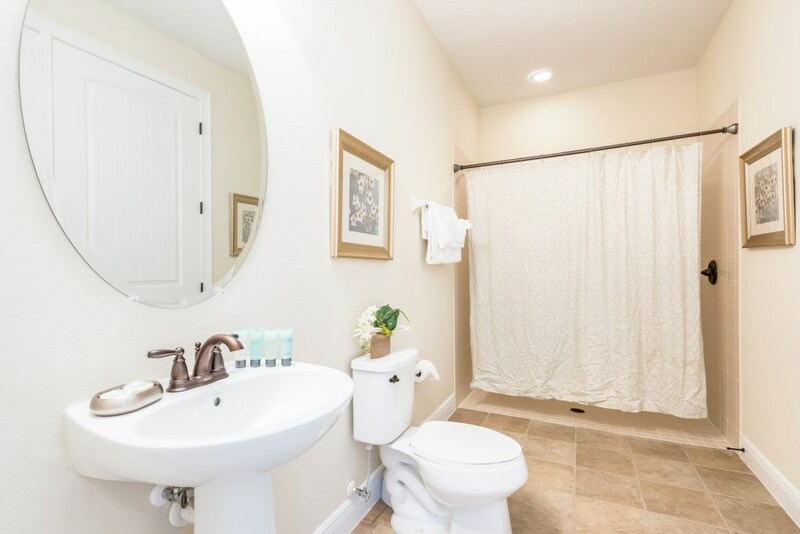 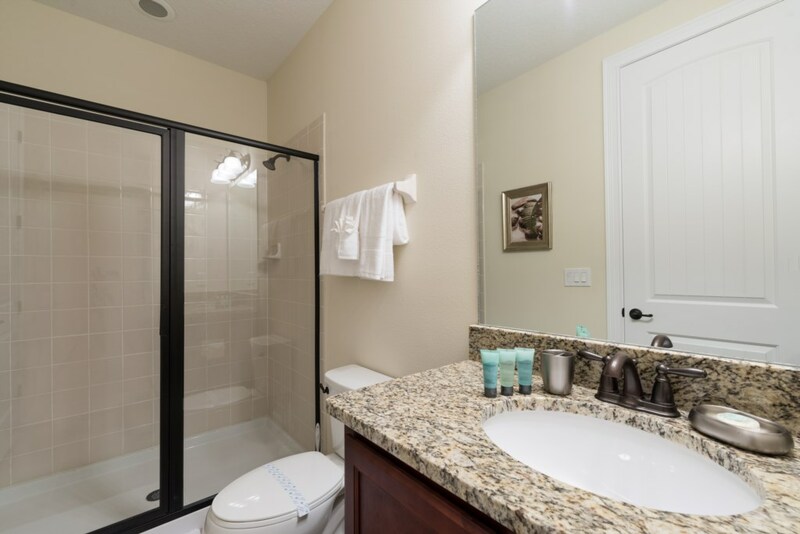 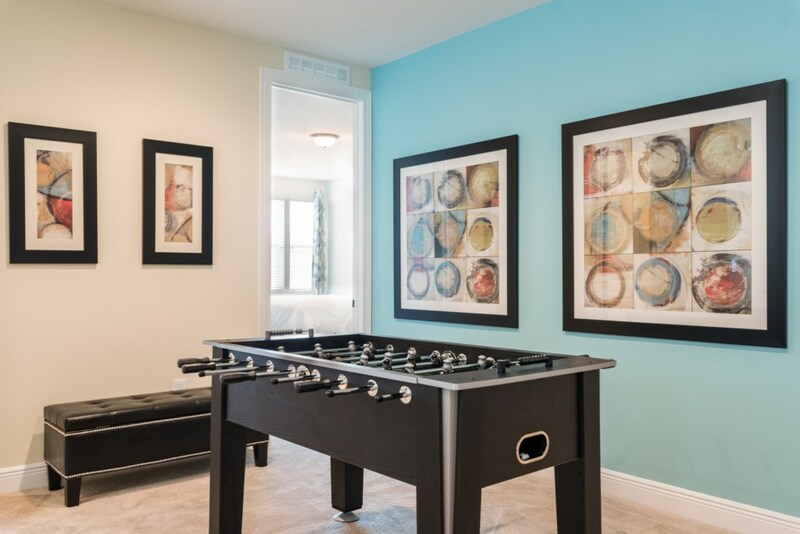 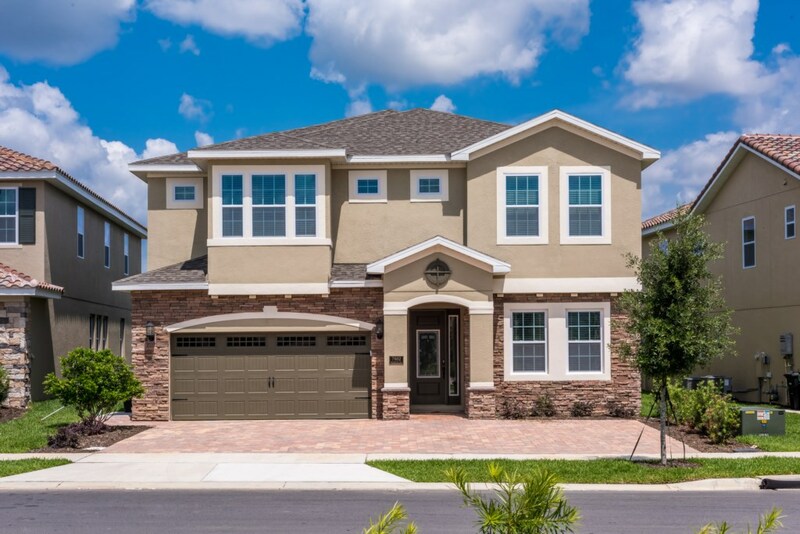 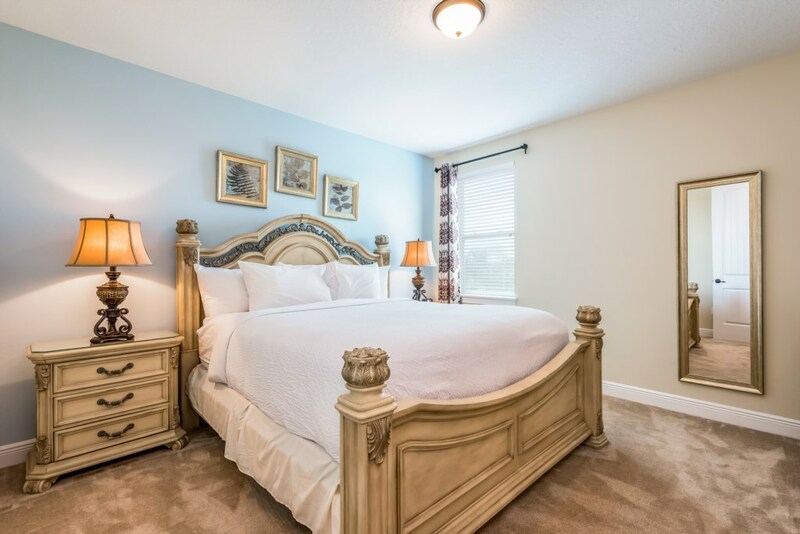 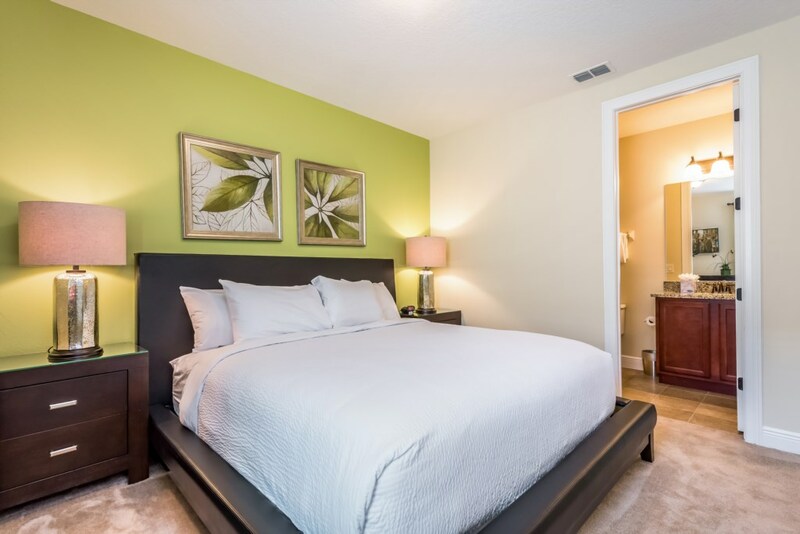 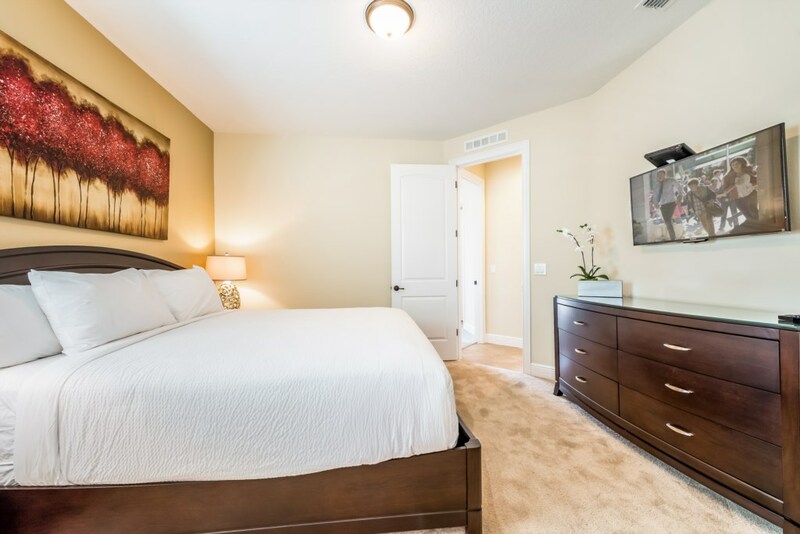 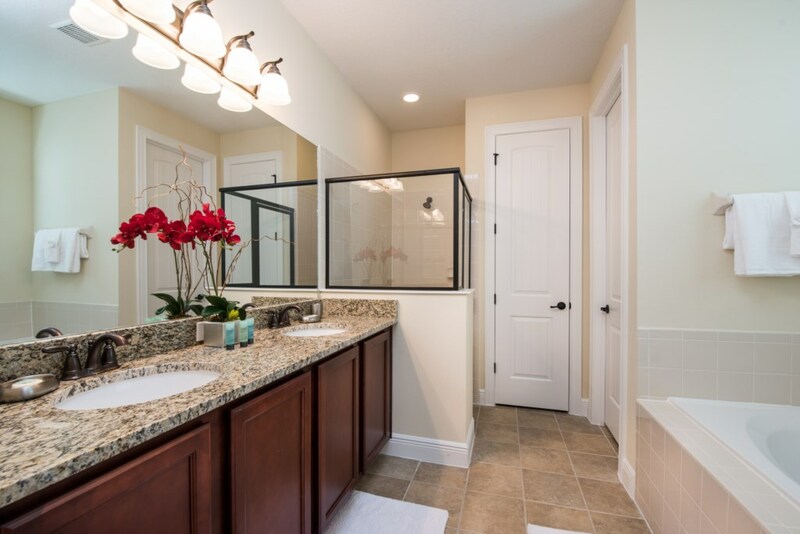 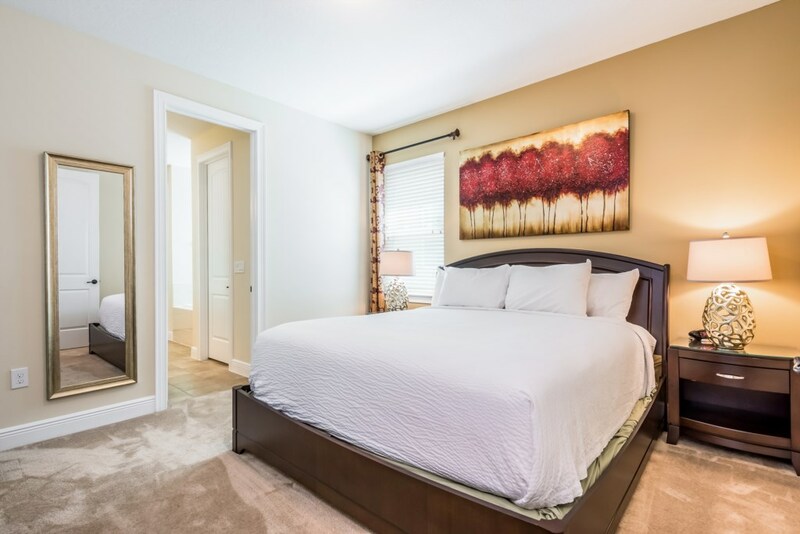 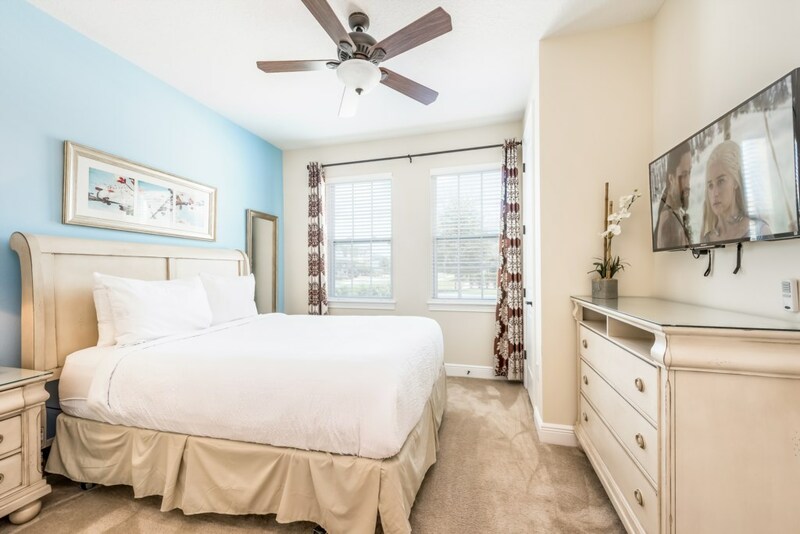 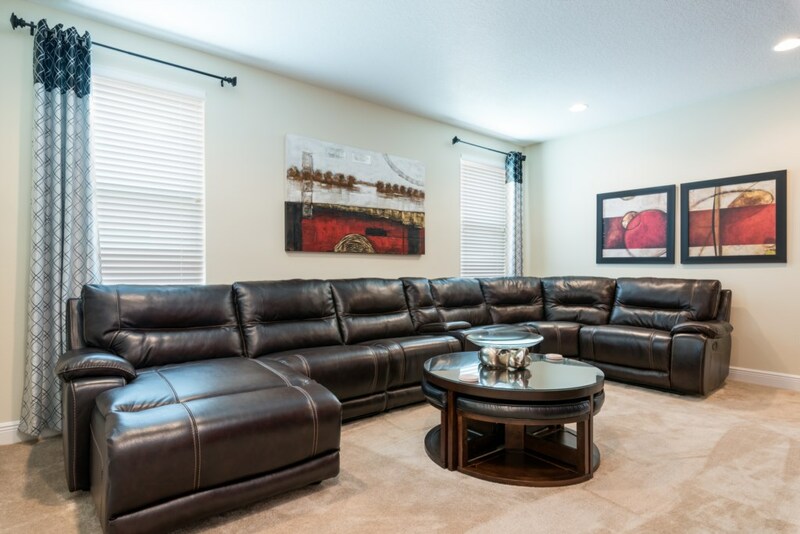 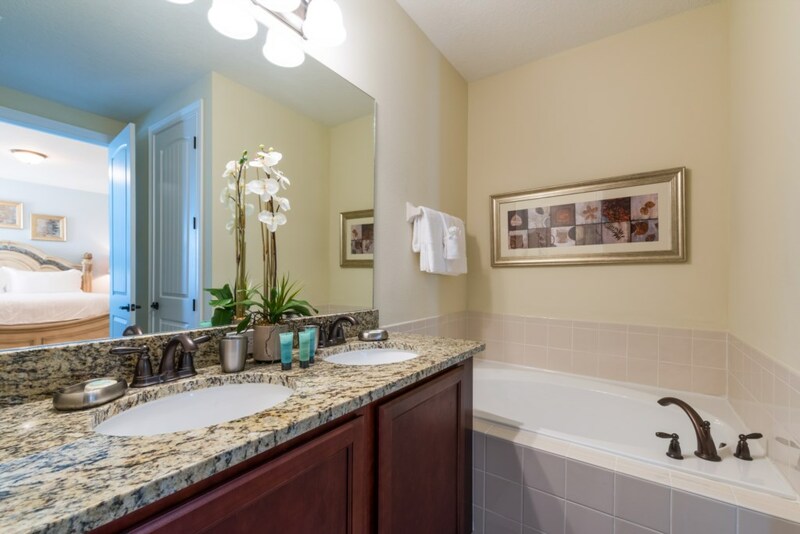 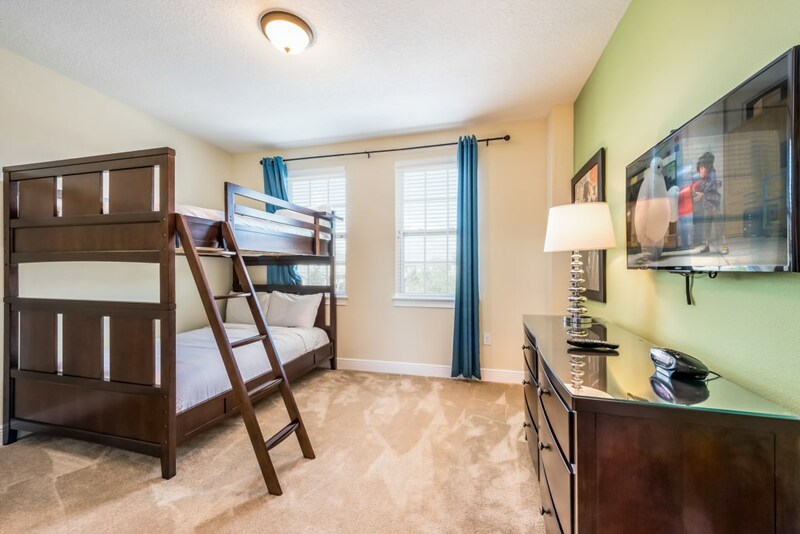 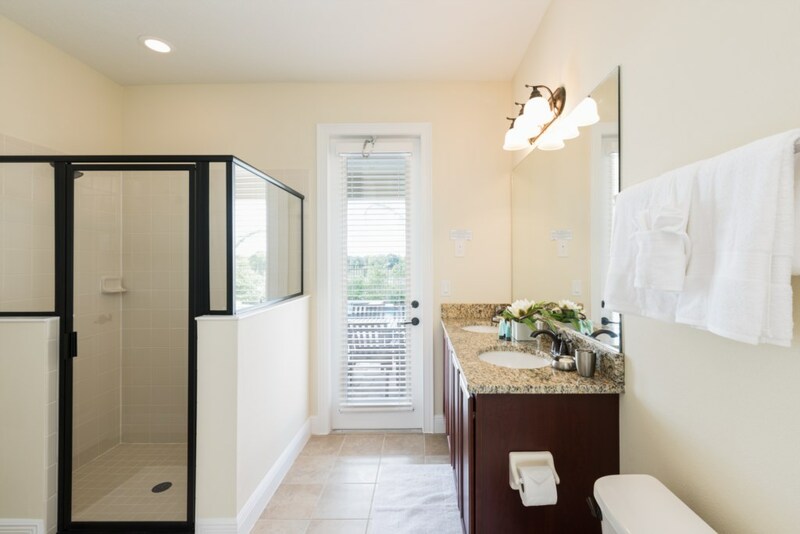 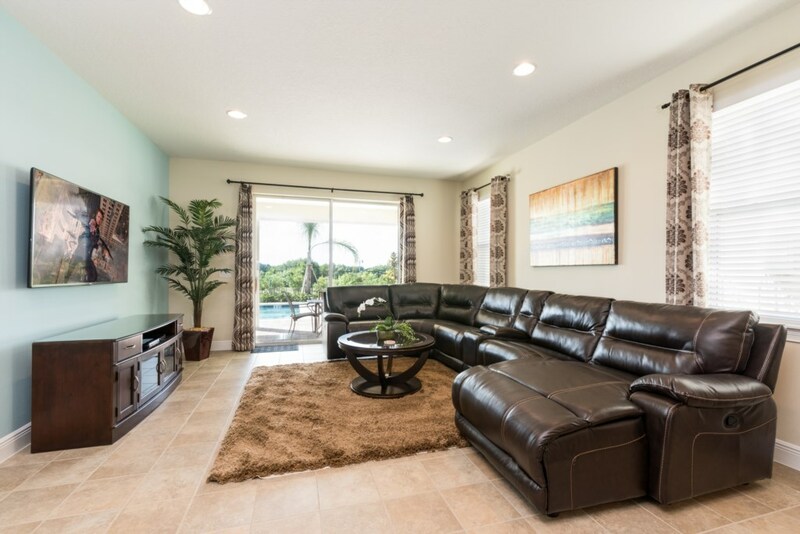 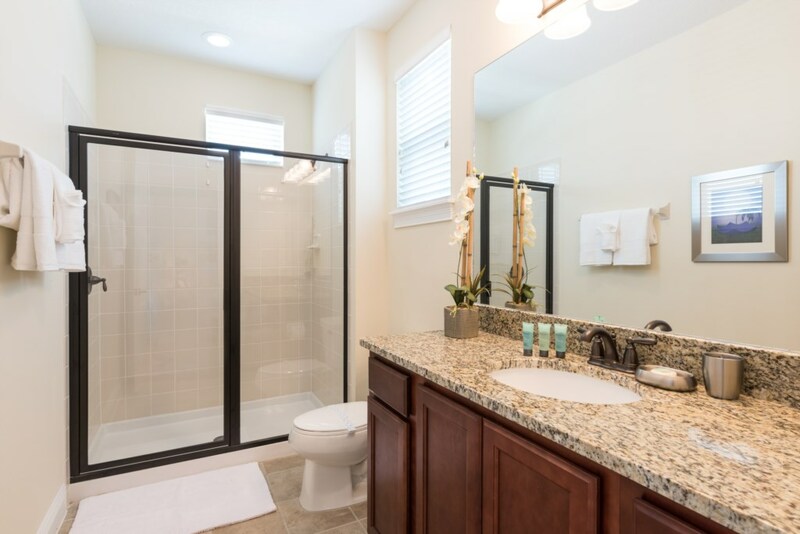 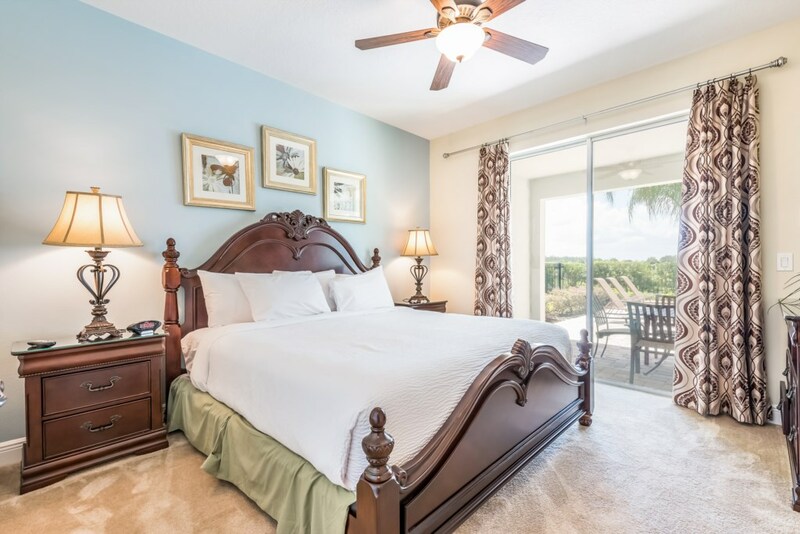 This luxurious two-story house with 10 bedrooms and 10 full baths is a perfect place to call home while on your Orlando vacation. 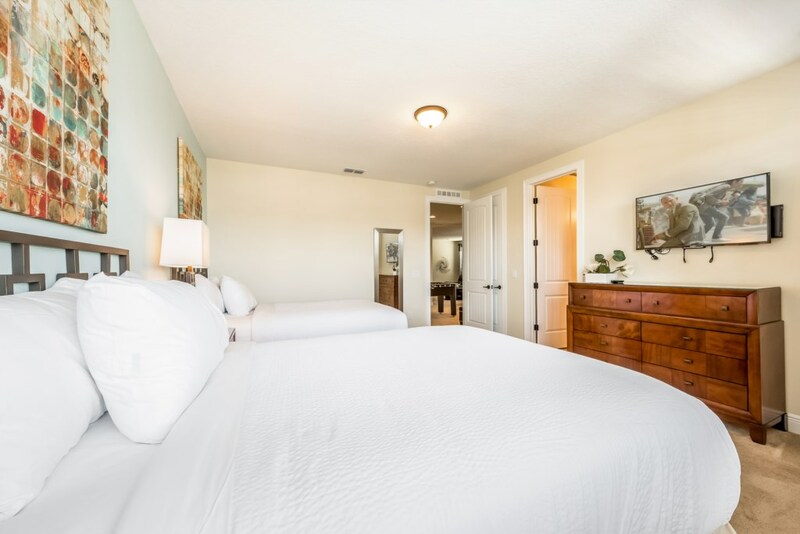 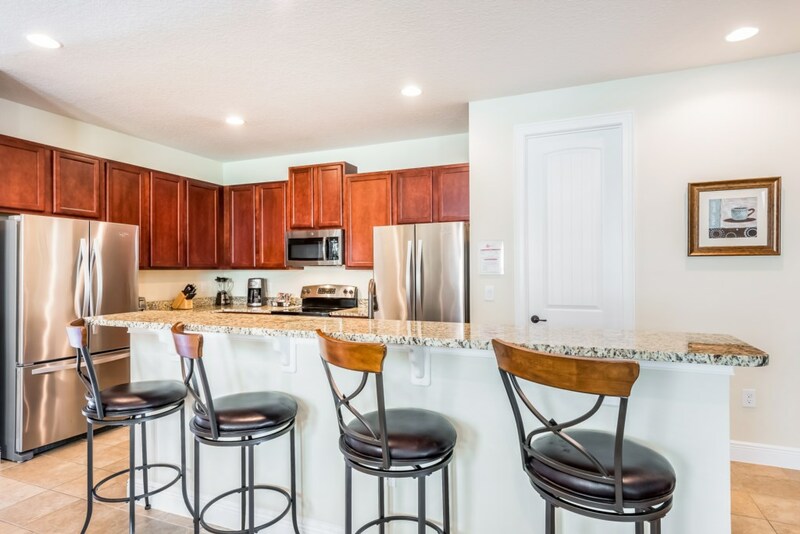 It offers a gourmet kitchen, fully equipped with all of the utensils, dishes, cookware, and appliances you should need during your stay. 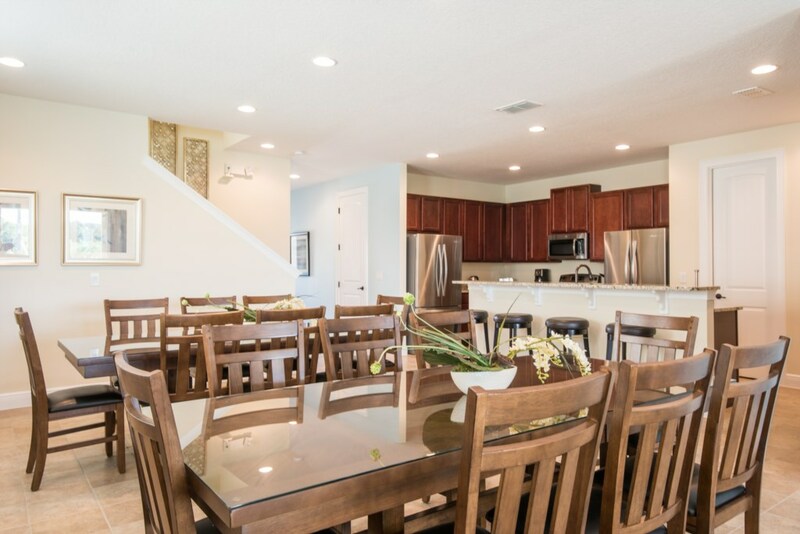 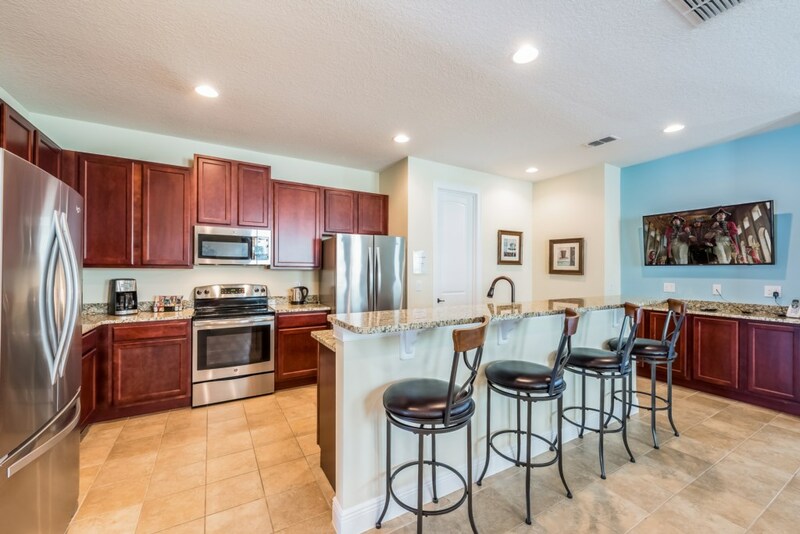 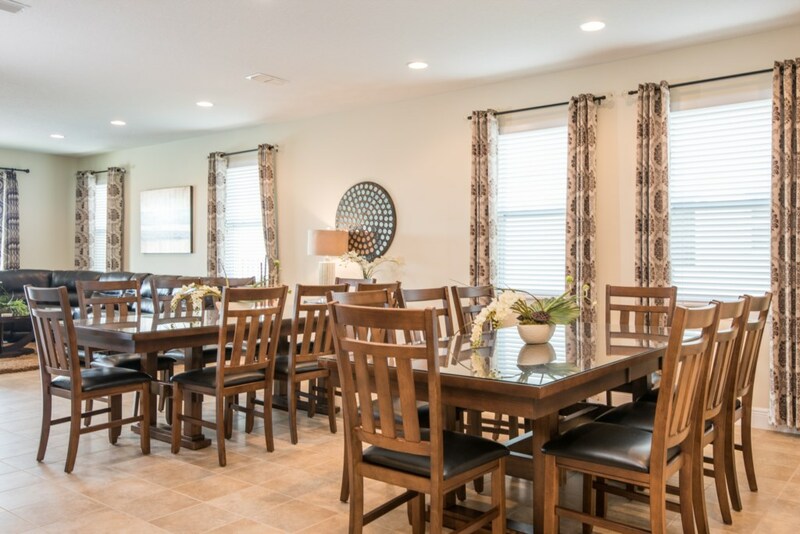 The eating area boasts ample seating in the dining room and at the kitchen bar. 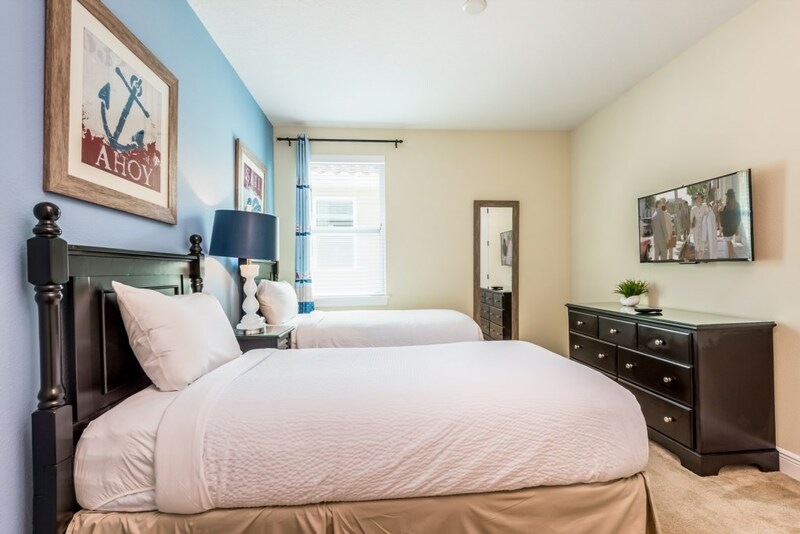 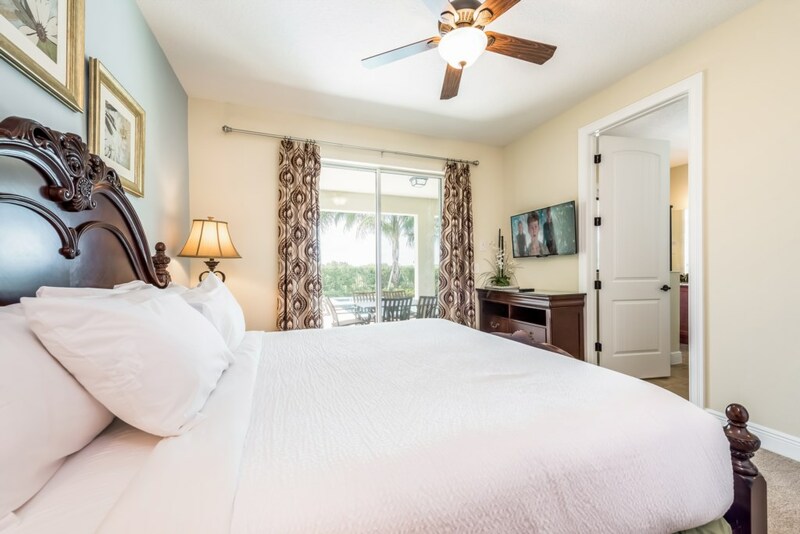 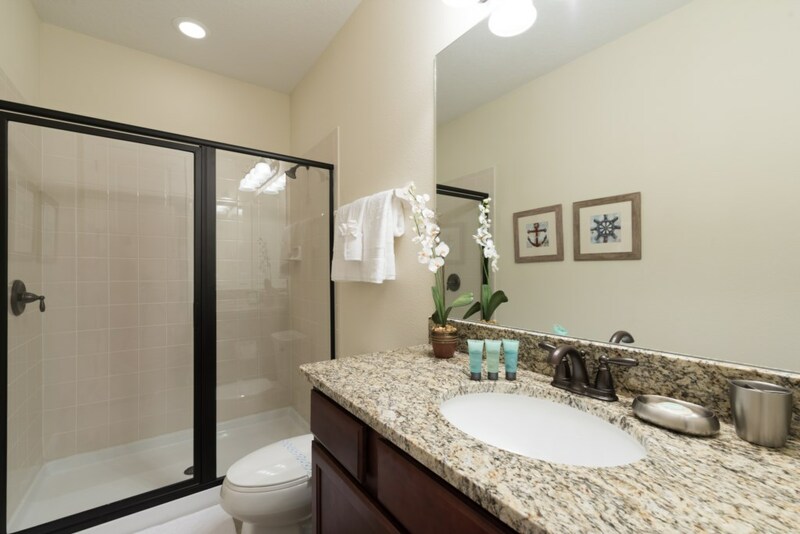 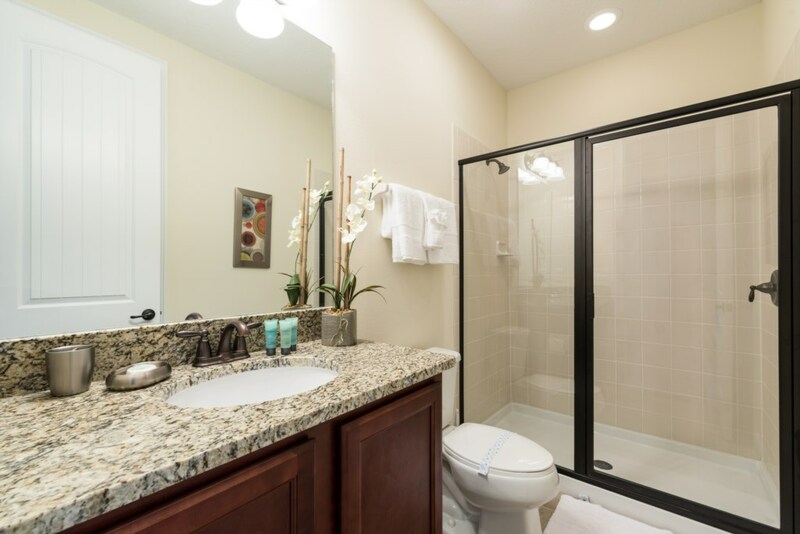 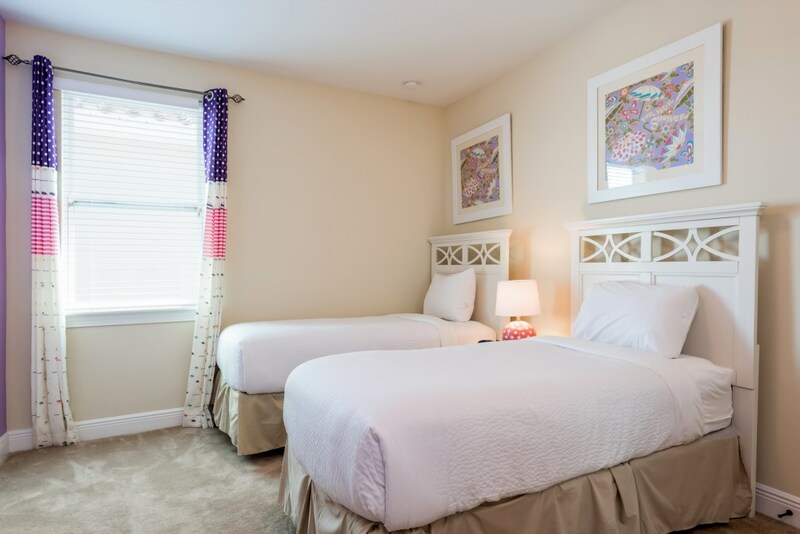 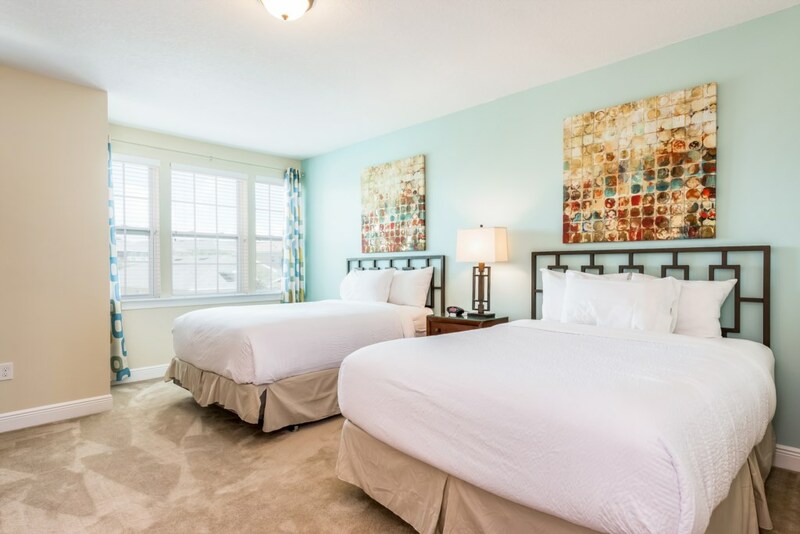 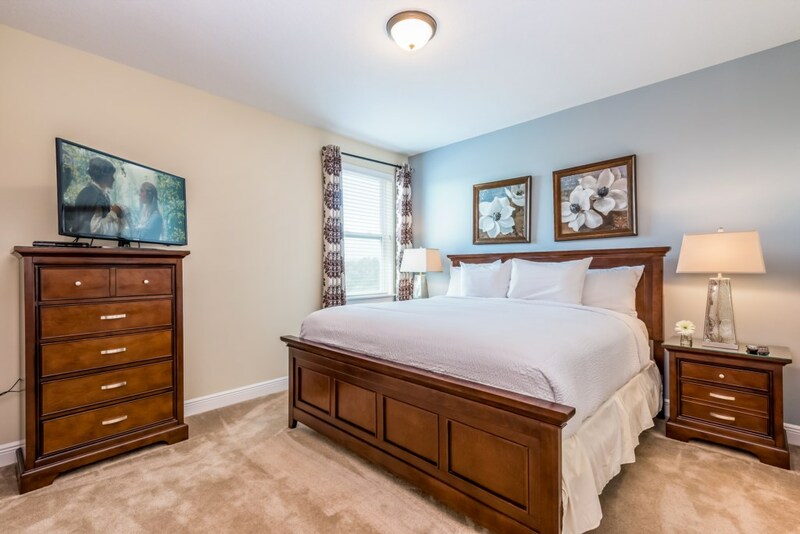 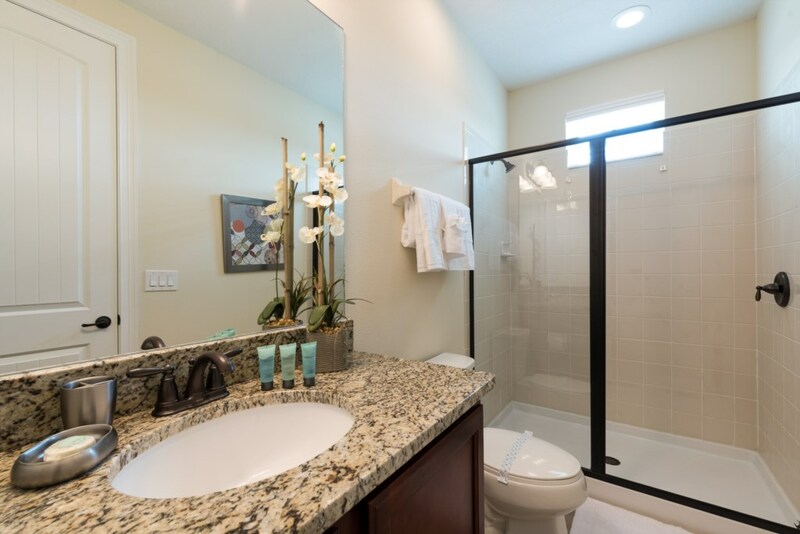 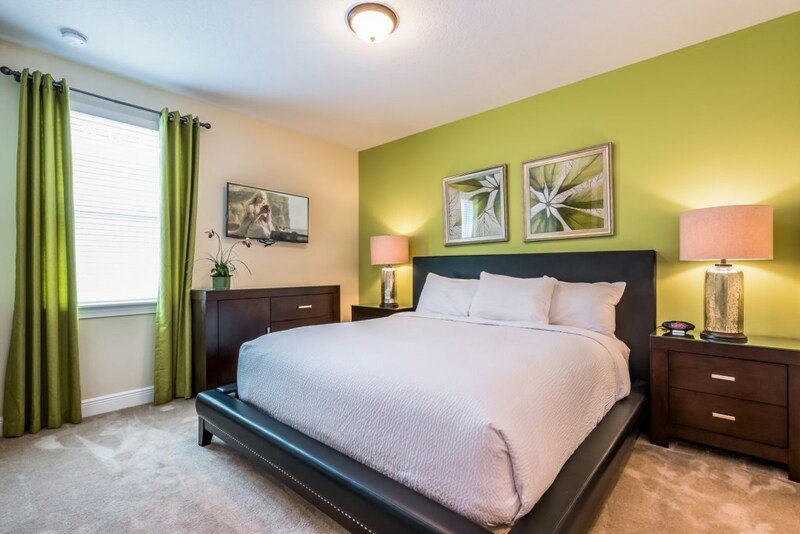 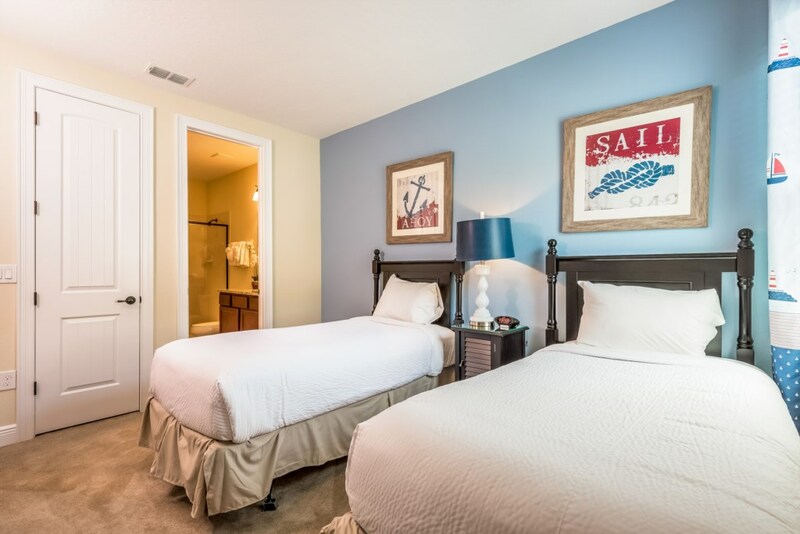 Each bedroom comes with a flat screen television. 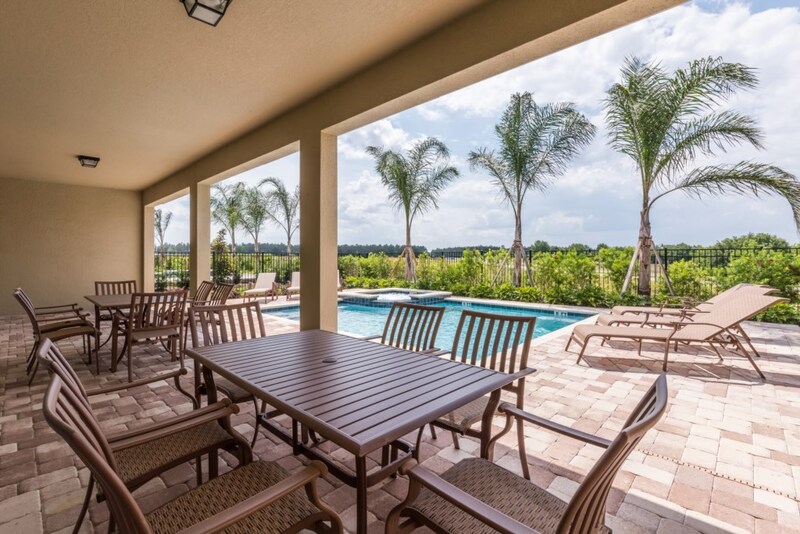 End your day by heading out through the sliding glass doors to your private pool and spa where you will find plenty of comfortable seating, perfect for lounging and relaxing.